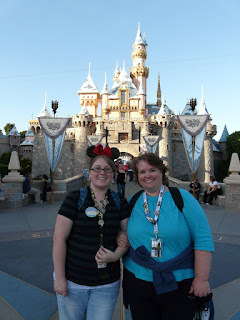 and for my birthday my mom and I went to Disneyland!! was get a picture with Mickey and Minnie in their Halloween costumes. There they were!!! IN COSTUME! Next on the list was Fantasyland. I love those rides over there for some unknown reason. 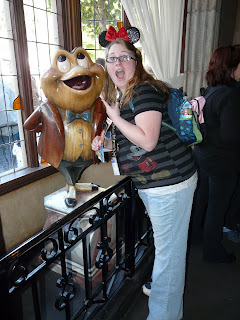 Mr. Toad's Wild Ride is a family tradition. 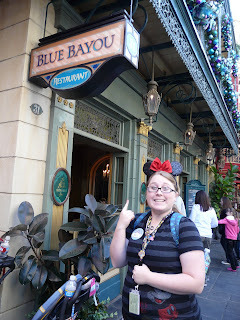 Lunch at the Blue Bayou!! You have to reserve this place at least 3 months in advance! Yeah they're in presents what'sre point eh? After lunch it was time for my birthday party at the Plaza Inn! And who should arrive at the party?! In front of MY castle. It's only Sleeping Beauty's technically. 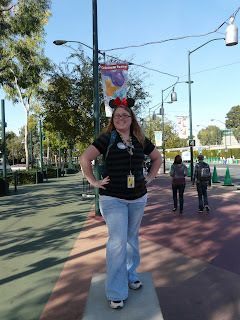 Next day was California Adventure and then D-land again. Guess what?! My name starts with A! Oh yes friends. HSM show. Ok so at Disneyland there's "Fantasmic!" 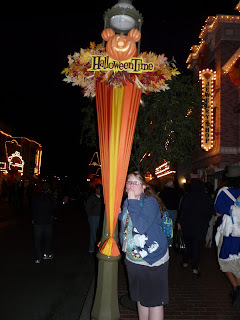 which is my all-time favorite thing at Disneyland. A water/light/fireworks show and I love it! 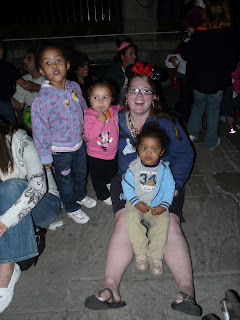 These kids were all sitting around me and my mom and somehow they flocked to me. Srsly, the kid plopped on my lap and would not move til dad picked him up. The girls loved playing with my hair and my Minnie ears. ^ This was right before his gloves sparked with fireworks! They had Ariel and Snow White too but their pictures didn't come out very well. They were moving along the water as we were trying to take the picture. 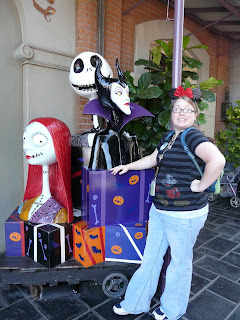 Of course had to get a picture with the wicked cool Halloween decorations! 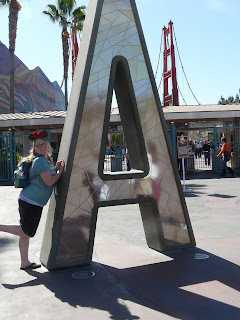 I had SOO much fun with my mom at Disneyland! 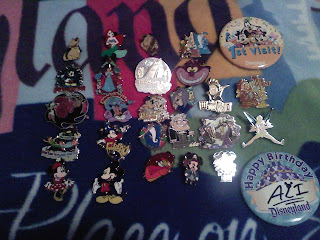 We had a blast and pin traded with a ton of cast members so now I have a bunch of pins!